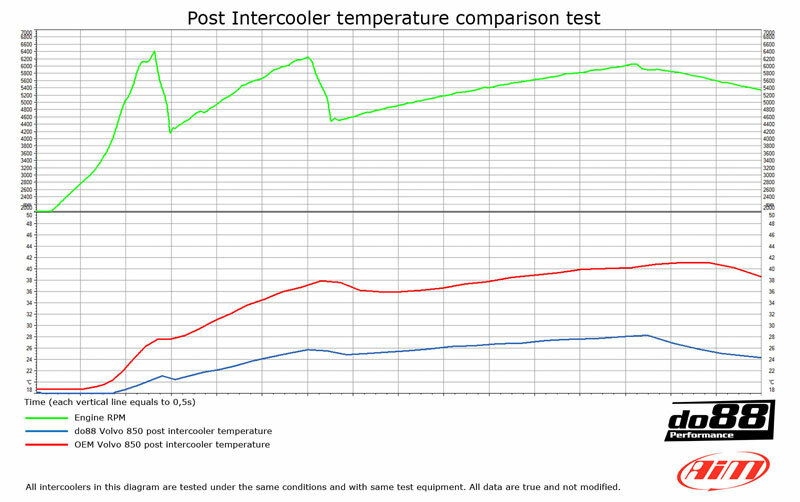 High performance upgrade intercooler. Provides improved cooling, and the ablility to run higher turbo boost if desired, without the possibility of the splitting the plastic end tanks on the original item - a common problem! Air conditioning may be retained with this intercooler, as there is approx 2mm clearance to the front panel. Front plastic panel may need to be trimmed and top holes enlarged during installation. Original fresh air pipe to airbox cannot be retained with this kit. This pipe kit reroutes the flow through the intercooler so the air that goes to the throttle body comes from the bottom of the intercooler. Since hot air rises the hot air will be kept in the top of the intercooler. This will reduce the air temperature that goes into the engine. This pipe routing is shorter the factory routing which increase throttle response. Above all this it looks far better than factory pipes! The BigPack includes a full aluminum performance intercooler and a complete 2,5” pipe kit and silicone hoses. This BigPack replaces everything between the turbo outlet and the throttle body and it drastically improves the airflow / cooling performance compared to the original. 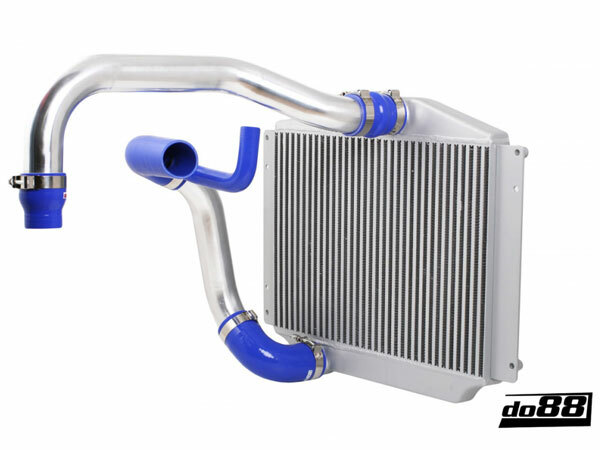 do88 performance intercoolers are an all-aluminum construction with cad designed, flow optimized cast end tanks and optimized core design to achieve best possible cooling efficiency combined with lowest possible pressure drop. The pressure pipes are manufactured in 2,5” mandrel bent seamless aluminum pipes. These pipes reverse the flow through the intercooler, the air that goes to the throttle body is taken from the bottom of the intercooler. This makes the total length of the do88 pipes 550mm shorter than the OEM pipes. Custom made high quality silicone hoses with 4 layers of polyester/aramid reinforcement. These hoses can handle very high temperature and pressure. Always remember that the OEM intercooler was designed for the power level the car was built for and a power increase or even very hard use of the car in a standard version may cause that the OEM intercooler doesn't have the performance you need. 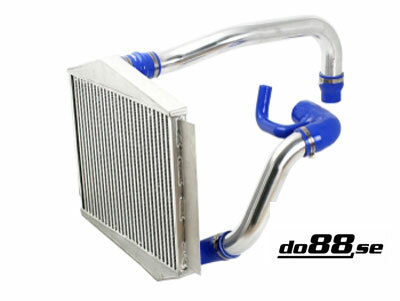 So after only an engine software tune the do88 BigPack will give a performance increase over the OEM intercooler!